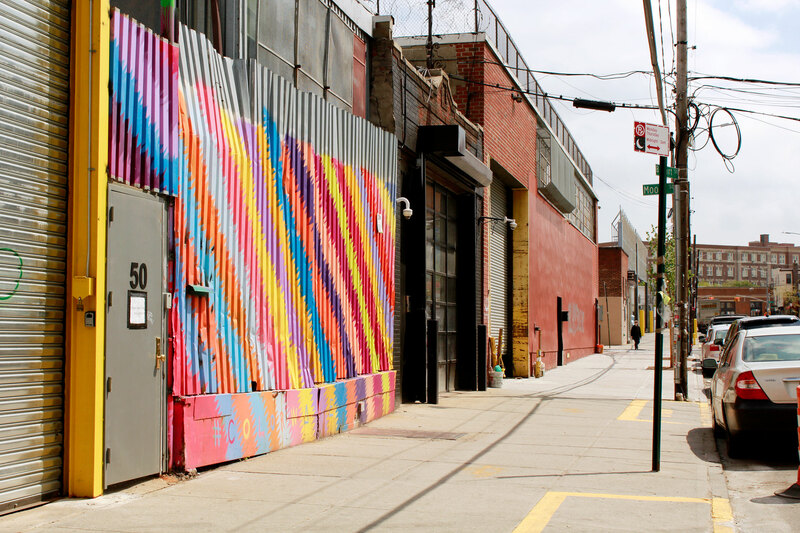 In a warehouse-turned-loft Brooklyn neighborhood, East Williamsburg is a super-trendy area. Since the early 1990s, edgy young professionals and artists in search of affordable space and close proximity to Manhattan have been drawn to the neighborhood. Near the L train, it offers a hip selection of bars, restaurants, boutiques and some great new developments. The area is truly a paradise for creative/artistic energies. Industry veterans bring a little of Cape Cod and the beach to Bushwick with this take on sea food and FUN! Cape House offers New-England style seafood and craft beer. Breakfast-inspired bowls & coffee in a quirky Vietnamese-American cafe with local art & live music. Cozy neighborhood cafe specializing in vegetarian Mediterranean dishes with some vegan options. Cash-only Japanese venue serving small plates, sushi & many vegetarian options at communal tables. Cafe, bar and restaurant located in East Williamsburg with a great brunch menu. North Carolina-style BBQ including smoked whole hog plus brown booze & craft beer in a huge space. Hearty New American dishes & some Mexican & Italian eats in a cozy spot with local art on the walls. Funky coffee shop offering espresso & Brooklyn-made pastries, with upcycled decor & local art. Local coffee shop with great atmosphere; serving specialty drinks and baked goods such as bagels and pastries. Hip, cozy cafe with craft coffees, gourmet sandwiches & pastries, plus free Wi-Fi & a garden patio. Coffee bar featuring a revolving showcase of our most experimental offerings on espresso and pour over. Local coffee shop with a selection of cupcakes, drinks and lots of dessert vegan options. Pacific Northwest chain serving house-roasted coffee in hip, relaxed surroundings. Unique venue & coffee bar with premium grub, craft beer & organic wine, plus live music & local art. Quaint, rustic pub with intricate wood decor offering microbrews, mixed drinks & weekend brunch. Stylish 2-room lounge with specialty cocktails, charcuterie boards & small plates, plus a courtyard. Sprawling joint that’s open for music performances & has pub grub & tons of beer plus a huge patio. Art deco cocktail bar with muted lighting, craft beer & a late-night menu of upscale eats. Cocktails & a long whiskey list make up the menu at this moody bar created with salvaged materials. Bar & music venue in a former casket factory, with vegan-friendly snacks, cocktails & draft beer. A long list of brews, pub grub & a weekend beer brunch fuel the festive vibes at this relaxed bar. DJs, karaoke & comedy nights are some of the diversions accompanying the drinks at this chill spot. Warehouse-chic spot with communal tables, creative Vietnamese dishes with a French twist & wine. Human Relations is a new (used) bookstore in Brooklyn, New York. Record shop with a large collection of new & used vinyl, plus turntables & other audio equipment. Urban, local art–filled haunt offering Mediterranean cuisine & cocktails in warm, intimate environs. A full-service espresso bar offering a wide selection of teas as well as Filipino baked treats guaranteed to tickle your palates. Mountain Province specializes in fair trade, single-origin organic coffee imported from small growers in the Philippines. All-vegan donut shop with a rotating list of 200 varieties, plus ice cream & French-press coffee. Complex of rehearsal spaces, art studios & a roomy rooftop bar with live music, films & pop-up eats. Dimly lit bar featuring specialty cocktails & a mural of a boxer over its unmarked entrance.